Next Saturday it's finally going. 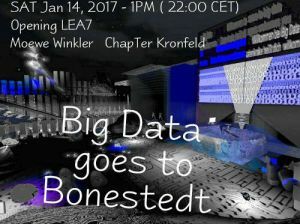 ChapTer Kronfeld and Moewe Winkler open their joint production "Big Data goes to Bonestedt" on LEA7. ChapTer has realized the part "Big Data", while Moewe has been busy with "... goes to Bonestedt". ChapTer Kronfeld on "Big Data ..."
Go inside and lose your data - go inside and lose your data. Lost in the jungle of his own data. Limit values ​​become one-way one-way streets of communication. Data theft mutates to theft of souls. Personal identity loses the essence of empathy forever. Know forever what data you communicate. Moewe Winkler about "... goes to Bonestedt"
Bonestedt is everywhere. A fictitious place, difficult to find, often mirrored, and a strange nothingness behind. Where the trivial is still trivial. Here you can only hear the strange voices of the seekers, waiting and wavering. 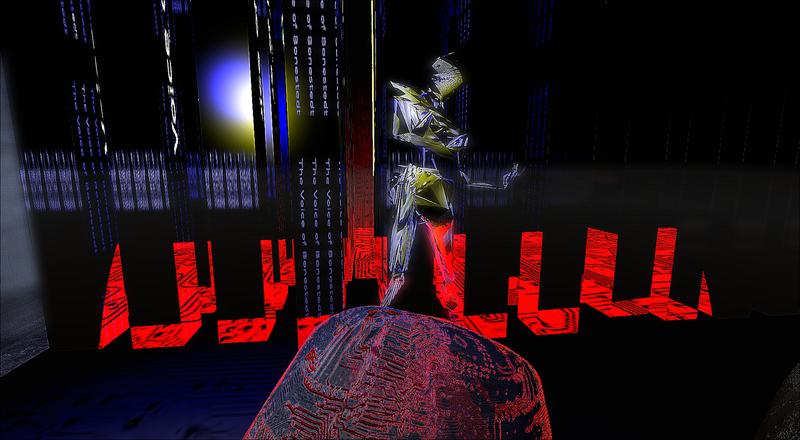 Quite without sisyphos, stones roll upwards - and down again. Bonestedt is beautiful, really. 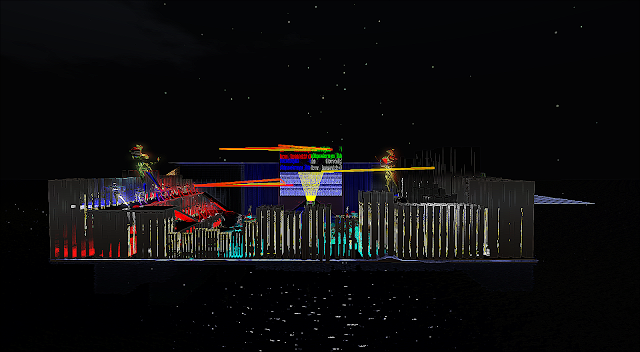 Above all Moewe's part lives by the light settings in the viewer. In order to see the projections and reflections, you should set the graphics card to "high". But it is not a must. We have developed LEA7 so that every setting is interesting. Use the Region setting "Midnight"